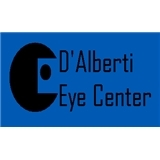 D'Alberti Eye Center (Hoboken) - Book Appointment Online! Once I finally got in, the assistant and Dr D'Alberti were very helpful. Just bring something to read while you wait!